I have a couple of recent vinyl pickups which I will be posting here over the next couple of weeks. 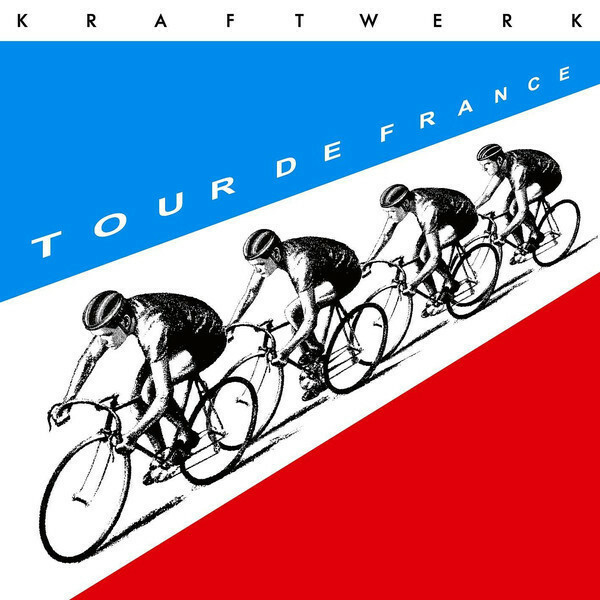 The first one up is the album Tour de France from Kraftwerk. This is a 2009 reissue of the album and I received this as a birthday present. If you do not know who Kraftwek are, they are an electronic music group from Germany who has been around since the 1970's. They are early pioneers of techno and the Berlin techno scene. Their music is sometimes quintessentially identified as "robot" music since the beats and rhythms are very mechanical. The group is also known for their live performances and visuals. This album follows in their standard music profile so if you know that you like or dislike Kraftwerk then you will know what you are getting here. The opening tracks on side A, Tour De France Étape, are probably the best tracks on the album. They are a relaxing, almost downtempo collection of synthetic textures. The album also features a really nice 20 page artbook, which is a collection of typographic images. It is a nice touch for those out there who are collectors of that sort of stuff. Great album and certainly a good evening listening type of album to put on while reading or relaxing. I have made it a purpose over this past year to purchase new music every month. Not quite sure why I haven't thought about blogging about it all year, but I figured I might as well start doing it now and perhaps I'll even take a look back at some of the other albums and music I have recently picked up. These recent purchases range from vinyl, to mp3's to even sometimes just some CD's checked out from the library. While most people seem to be going the Spotify route for their music with a subscription, music is one of the few medium I still feel like fall on owning myself. 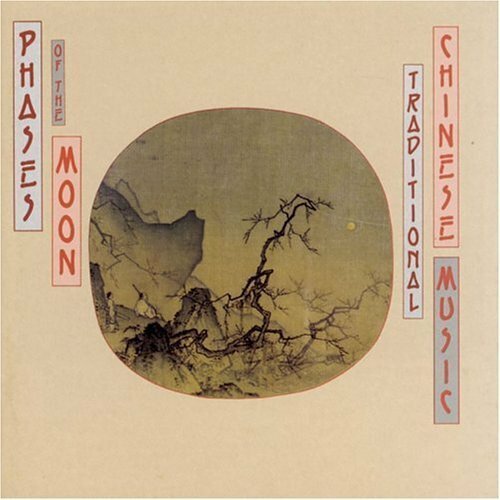 My most recent purchase was Phases of the Moon - Traditional Chinese Music from the CBS Masterworks collection. This is a really interesting collection of music. It was assembled as an orchestral collection of Chinese styled music from the 1950's and 60's. The music is quote good, but has a distinct "western" flair to it since the orchestral arrangements future a more traditional orchestra. The inner cover of the album has some really nicely done narrative that discusses each song and there are certainly some gems on it. I was hoping for a more traditional Chinese musical arrangement, but I am glad I picked this up. This weekend Megan and I happened to swing by the local thrift shop just to see what they had for records. 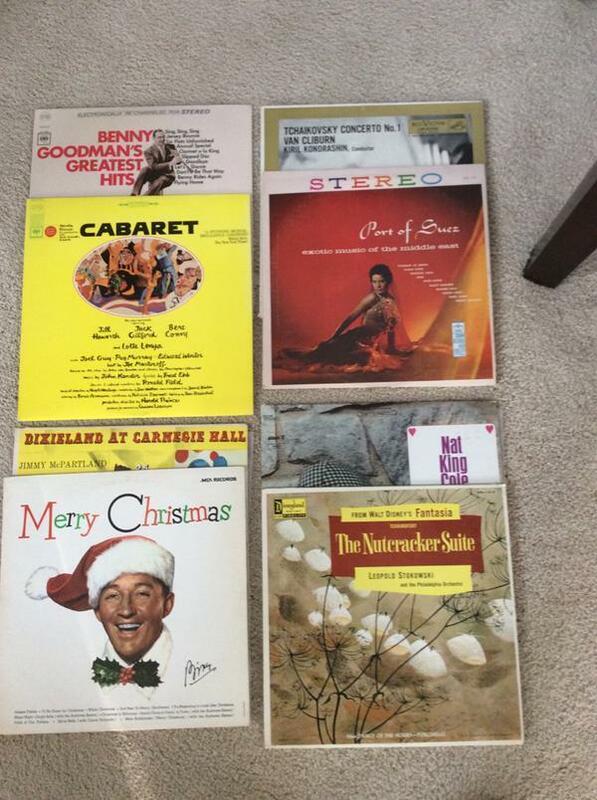 We actually scored nicely, especially with the Bing Crosby Merry Christmas album (sadly not an original though). Not everything was the hit we thought it was though. Apparently you have to look a bit closer sometimes as to what is actually in that record sleeve. For example I found Tchaikovsky Concerto No. 1 in the bin. I pulled out the record and gave it a quick look over. The center label did indeed say Tchaikovsky on it, but what I didn't notice at the time is that it said Tchaikovsky Serenade in C Major. Whoops!!!!! But, there was a plus out of this. On side B is a recording of Barber's Adagio for Strings. Also in that pile was a shellac 78 RPM copy of Rhapsody in Blue. Unfortunately, I cannot play that album and it appears to be incomplete. The shellac record though is thick and heavy. I honestly thought it was made out of metal when I first held it. Some other nice finds in there though are a 1966 Best of Benny Goodman album, the Bing Crosby I mentioned above and this 1958 record called "Port Of Suez - Exotic Music Of The Middle East". How could we not buy it for the curiosity? We haven't listened to the album yet so perhaps this evening.